I've seen a number of Gothic Cathedrals in my travels around Europe over the years, and the Dom in Cologne was the most impressive by far. Construction on the awe-inspiring structure began in 1248, but was halted over 200 years later in 1473. In 1880, over 400 years later, construction was finally completed - and until 1884, the Dom was the tallest building in the world. In addition to the mind-blowing facade, the Dom is also traditionally believed to hold the remains of the Three Wise Men. Visit Wikipedia to learn more about the Dom. Growing up in Ontario, I visited Niagara Falls a number of times during my childhood. However, it wasn't until returning again recently that I fully appreciated the incredible scale and power of this natural wonder. Niagara Falls the city is pretty cheesy and overly-touristy for my tastes, but it's more than worth the visit to see the falls up close. Visit Wikipedia to learn more about Niagara Falls. 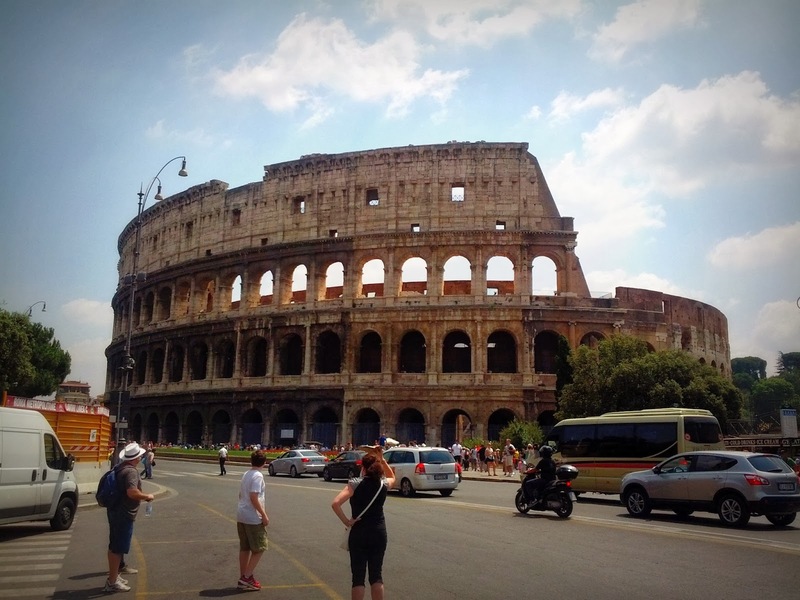 Rome has many amazing cultural sights, but the Colosseum is unquestionably the centerpiece. Stepping inside instantly brings to mind images of ancient gladiatorial battles (thank you, Hollywood) and 50,000 ravenous Roman spectators. Unfortunately, the lines can sometimes feel like their 50,000 people long - but this iconic structure is a must-see if you're visiting Rome! Visit Wikipedia to learn more about the Colosseum. 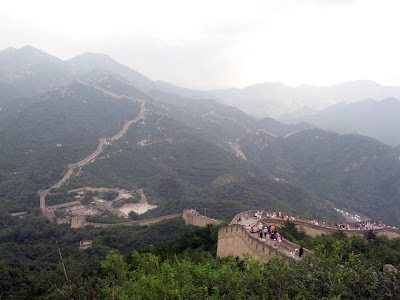 The most recent addition to my list, The Great Wall of China is one of those architectural marvels that leaves you wondering "how on earth did they do that?". While the most commonly-accessed sections are near Beijing, The Wall stretches thousands of miles and zigzags along much of northern China. If you're planning to visit (and you should be, if you haven't done so already), make sure to bring proper footwear - the walkway along the top can get VERY steep, and there aren't always stairs! Visit Wikipedia to learn more about The Great Wall. Also known as "that ancient city from Indiana Jones and the Last Crusade", Petra is located in southwestern Jordan, near the Israeli border and the town of Eilat. Carved directly into solid stone, the city features monuments, tombs, an amphitheater, and countless other structures. It spans for miles, and requires several days to see more than just a small fraction. In addition to the expansiveness, the intricate details on some of the most famous buildings (such as the Treasury, pictured above) are absolutely breathtaking. Visit Wikipedia to learn more about Petra. There are countless other places I'd like to see in the years ahead - probably more than I'll actually be able to get to! Where have you been? What are some of your favorites? While not nearly as well travelled as you, I would include Stonehenge (got to actually touch the rocks - definitely goosebumps! ), the Grand Canyon (breath taking)and the Netherlands (yes, the entire country!). There is something about being in the country of your ancestors that is indescribable - a feeling of belonging. Stonehenge and the Grand Canyon are both on my not-so-short short list - can't wait to visit some day! Such a hard list to make. I'm pretty sure mine changes on a daily basis. Most days, the list includes: Palaeolithic painted caves of SW France; the Tintoretto paintings in the Scuola Grande in Venice; Pompeii; Thorsmork (Iceland); the highlands of Lesotho.